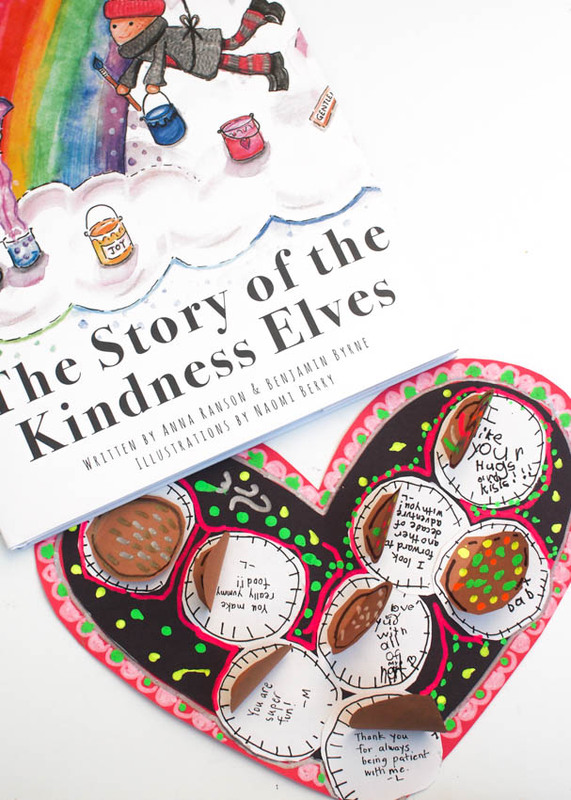 Anna from The Imagination Tree wrote a book called The Story of the Kindness Elves. She sent me a copy to review and we really enjoyed reading it. It's a sweet story about two little elves who team up with two children to do acts of kindness around their town. After reading the book I was thinking of ways that we could be kind to others. With Valentine's Day around the corner, I thought it would be nice to create a card with my son to encourage and love my husband. 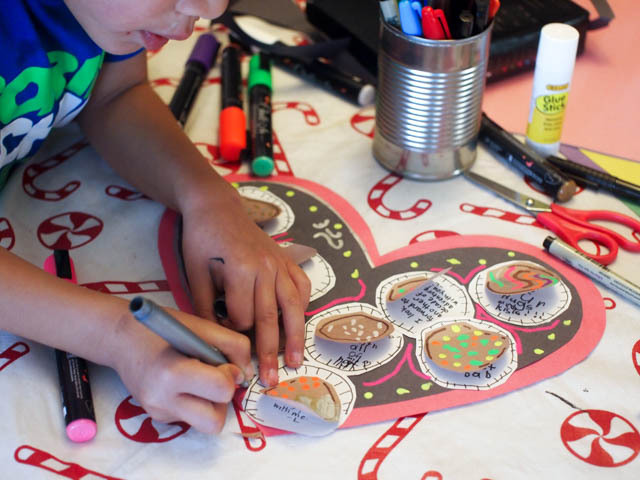 Let's Make a Valentine's Day Card! Grab some red, black, white, and brown construction paper. Cut out a large heart from the red paper. Then, cut out a slightly smaller heart from black paper. 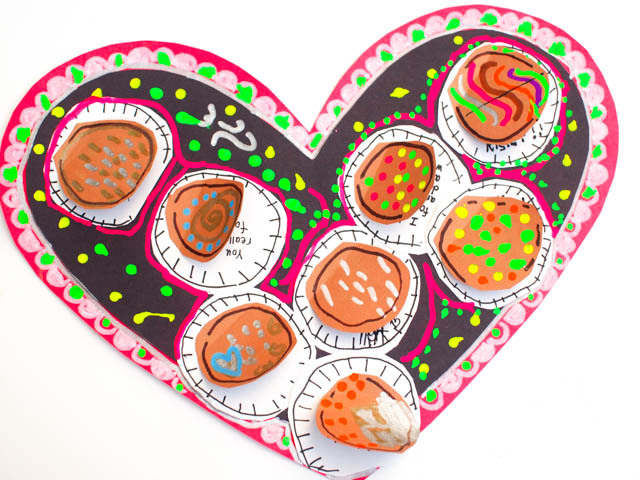 Use a glue stick to glue the black heart on top of the red heart. 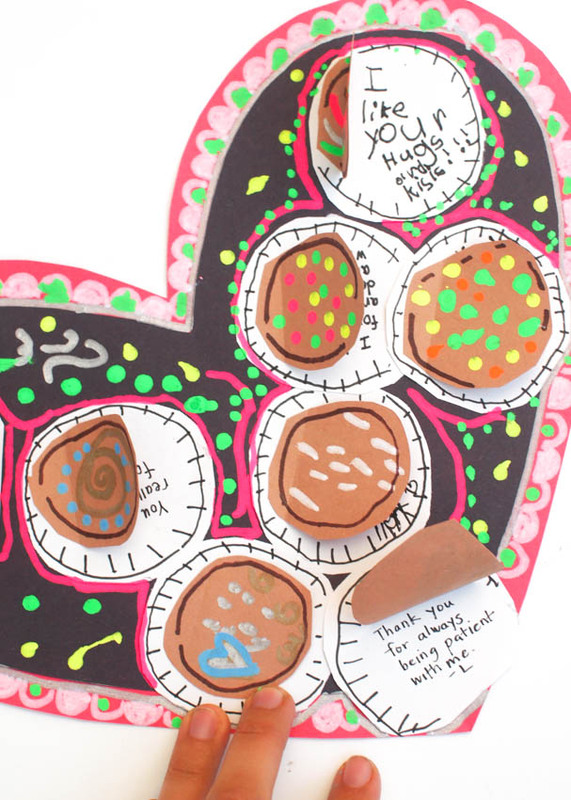 Grab your chalk markers and Sharpie markers and get to work decorating your chocolates and box and writing your encouraging messages. This is such a neat card because it's beautiful and when you lift up the flaps, your recipient gets a bunch of lovely, encouraging messages as well. 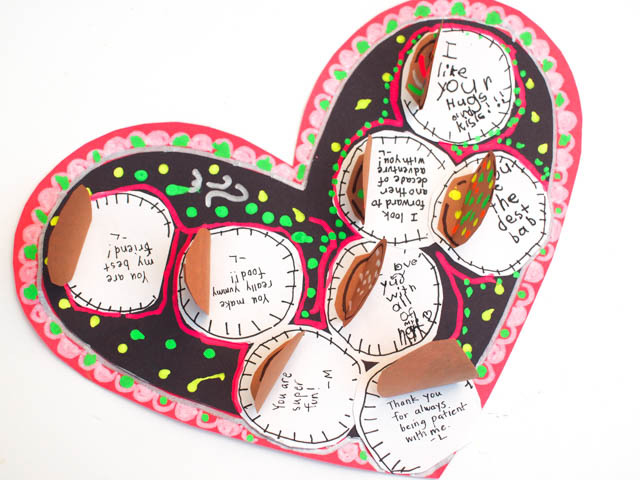 For more cute cards that you can make with kids, click here. Hope you have a wonderful Valentine's Day, too!